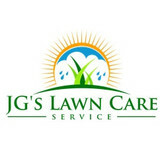 Our company is built on the foundation of providing superior customer service combined with impeccable lawn care. This is the foundation of our brand. As a customer, you can expect to receive prompt, professional communication, clear scope of work and budgets, and timely completion of our work. We pride ourselves on being able to continually exceed our customers expectations. We encourage you to experience this for yourself. 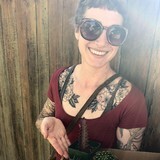 I specialize in native plants of the PNW and create designs that complements this region, taking into consideration your specific garden needs (sun exposure, soil make up and existing plants and trees). The nursery is currently small but growing as we speak! We specialize in native northwest plants but have a variety of non-invasive perennials and shrubs for your viewing and buying pleasure. Please contact me if you have a specific request and I will assist you to the best of my abilities! 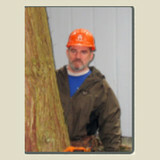 Timber Topper Tree Service is owned and operated by Randall Scott out of Hansville, Washington. He maintains a small crew and specializes in customer service. RandyRandy started trimming trees when he was 16, on a summer job in southern Oregon, working for a friend’s dad’s logging operation. I performed tree trimming and removal in 12 states across the country. My career was in the telephone industry. I taught pole climbing for Southern Bell in Santa Clara, California and had a fairly large telephone construction company with 28 employees based in Houston Texas. We did a lot of storm damage work, replacing poles and cable for utilities companies and trimming trees and branches (or pole lines or leads, as they are referred to in the business). My crews worked hurricane damage in Florida and Texas and other gulf states for hurricanes Rita, Katrina and Wilma. The tree trimming is something I have always done on the side. I have always liked to climb and its great way to stay in shape. We love the Hansville area and figured it would be a good way to get involved in the community, get to know people and provide a needed service. I lived on the Kitsap peninsula in the 90’s and always liked the area. We moved back here in 2009. Three of my sons live in the Seattle area, which helped bring us back here too! The name Timber Topper came from a restaurant in Grants Pass, Oregon, where my Mother worked during my childhood. 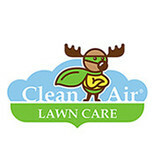 Clean Air Lawn Care Seattle is a full-service sustainable and organic lawn care company for residential and small commercial properties. By working with Clean Air Lawn Care Seattle you choose a lawn care service that is professional and cares for the health of your property, family and our environment. Our team is formed by "true believers" that promote sustainable practices with solar-powered lawn mowers and organic fertilizers that are safe for kids and pets. We work with the unique needs of your yard to bring you the most beautiful and healthiest lawn in the neighborhood. Contact us for a free estimate and let us show you how your lawn can look amazing the natural, chem-free way! Seattle Hydroseeding warrants that high quality certified ingredients are used in our hydroseeding process. If your Hydroseeded lawn does not establish properly, for up to one year, because of product or workmanship, those portions of the lawn that are not growing will be re-Hydroseeded, at NO COST! Be sure to water, fertilize and maintain your new lawn as directed on our website. If your lawn is not watered, fertilized and maintained as directed, the Warranty is void. Our goal is to add color, longevity and beauty to your containers and beds with our unique landscape design. Call us today! ML's Lawn Service has been providing quality lawn care and landscape installation since 1993. We have specialized in complete landscape maintenance servicing commercial, residential, retail and assisted living properties. We provide our clients with the highest level of service, professionalism, dependability. ML's Lawn Service has been building and preserving strong business and personal relationships for decades. Our quality service shines through at every job site we work on. SERVICING THE COMMUNITY FOR OVER 5 YEARS! T&D Professional Services was started by Thomas and Dionte with the goal to provide quality work with outstanding customer service. Together they have over 5 years experience. Thomas comes from a background of customer service, landscaping and design. He started his career doing work outside for his church as a volunteer. Dionte comes from a background of customer service, water mitigation and mold remediation. He started his career with local companies providing these services along with landscaping. Thomas and Dionte are available to answer any questions you may have via email or phone call. We look forward to working with you! I specialize in lawn aerating, thatching, seeding and fertilizing of residential lawns from North Seattle to South Everett. Trained by a golf-course superintendent. Thousands of satisfied customers. Locally owned and operated since 2004. Economy Landscaping, LLC is a small family owned business that has been providing topnotch landscaping and irrigation services in the greater Seattle area for the past 27 years! Our company takes great pride in satisfying customer needs, providing an exceptional product and experience. Over the last 27 years we have worked on 2,000 plus projects ranging from government contracts, home manufacturers, corporate buildings, to residential homes. All Seasons Landscaping Inc. is the most reliable Landscaping company in Puget Sound Area offering landscaping services in Bothell, MIll Creek, Lynnwood, Everett, Bellevue, Redmond, Snohomish, Mukilteo, Kenmore, Seattle, Shoreline, Briar, Kirkland, Mount Lake Terrace and more. With over 16 years of experience as Pacific North West landscapers , we can help you Restore, Refurbish and Maintain your Landscape Property Grounds. You may want us to perform a one time service, or provide a 12 month maintenance program, that will keep your property looking the best, week in and week out. We also can design and create your dream landscape, or just add a small enhancement for the better enjoyment, or help with the sale of the property! We specialize in a broad range of landscaping services and techniques and work hand-in-hand with a team of expert manager , designer to bring you a well-rounded approach. Read more All Season Landscaping team will create a unique and custom landscape design for you using our own computer generated imaging design program. We follow the philosophy that each landscape is unique and provide each client with a personalized plan to fit the landscape specific needs. We have been helping properties in Washington and Oregon for over a decade . We consistently provide superior service. Give us the opportunity to speak to you about your landscaping, walkways, outdoor lighting and more.Some of the Services we provide: Lawn Care, Spring and Fall Clean Up, Trimming and Pruning, Mulching Landscape beds, Leaf Clean Up, Pressure Washing, Shrub and Tree Trimming and Pruning, Water feature Maintenance and Repairs, We also design and Install Waterfalls, Creeks, Ponds,Design and Install new landscapes, Install Sod, Install plants, For most of our Services we provide a hassle free no cost Estimate. Call Today to schedule an appointment. In addition to the maintenance side of gardening, Shelton, WA gardeners can help you with garden design and choosing specific plants and grass types for your climate and area. 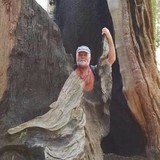 Find a Shelton, WA gardener on Houzz. Narrow your search in the Professionals section of the website to Shelton, WA gardeners. You can also look through Shelton, WA photos to find examples of yards that you like, then contact the Washington contractor who worked on them.